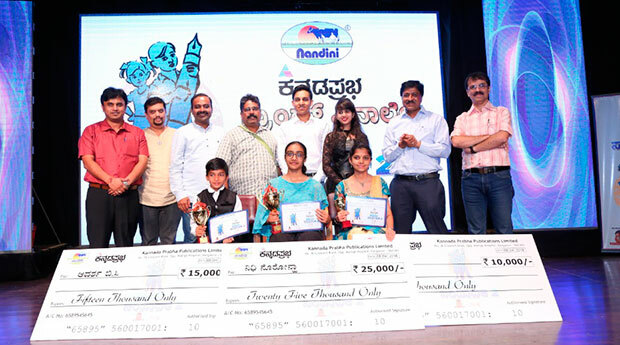 Kannada Prabha, a Kannada daily, has just completed 50 years of publication and celebrated the second season of its flagship programme ‘Kiriya Sampadaka’ (Junior Editor). The publication plays its role in education, targeting children in the age group of 7-14 years. A six-page special edition is distributed in leading schools across the state and gets the students to participate. The students then become editors of the newspaper and decide the content they would like to publish. The winners are chosen based on the content and style of the newspaper produced. Interested students from schools are given the newspaper activity sheet and get a 10-day time frame to fill the newspaper with their creativity and intelligence. The jury panel selects the top three entries from each district and top three for the state. The activity reached out to more than two lakh children across Karnataka. This activity is aimed at creating a student editor by displaying their skills in the assigned activities of the newspaper. Tapping the budding talent in the students, Kannada Prabha is creating future journalists in the Kannada newspaper market.